Nut Brittle: This mix contains 30% roasted nut meal combined with a cereal meal milled in house, which to our knowledge, is not used anywhere else in the bait industry, and thus is a totally unique bait totally different to anything else currently out there. The bait comes in 2 flavours; nut cream & peach and condensed milk. 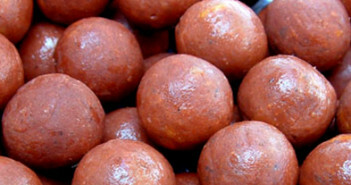 Due to the nut content this bait can only be supplied in sizes 12-15mm barrels, and 15, 18, 20, and 24mm, round or barrels. Please call on prices on orders over 150 kg. 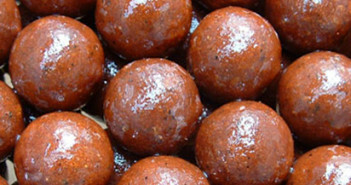 Note – For 12mm baits please add 50p per kilo, and for 10mm baits please add £1.00 per kilo to above prices. 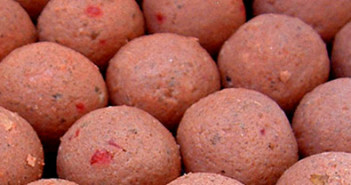 We can make your bait extra hard and extra heavy in all sizes; add £0.20p per kg. 10kg of base mix plus flavour pack £50.00. We offer a full range of matching hookbaits, including pop ups, wafters and our special 2% bottom baits. Our hookbaits are made using the same basemix as the rolled bait with the inclusion of cork dust, so you know your hookbaits match perfectly with your freebait.